James Beaumariage, RPh, editorial board member, Inside Patient Care, discusses pharmacy education and potential misconceptions of pharmacy students. James Beaumariage, RPh, editorial board member, Inside Patient Care, talks about the pharmacist and the value of pharmacy staff members who show initiative in the work place. James Beaumariage, RPh, editorial board member, Inside Patient Care, discusses the goal of pharmacists as it relates to patient care. James Beaumariage, RPh, editorial board member, Inside Patient Care, emphasizes the importance of communicating with patients. James Beaumariage, RPh, Editorial Board member of Inside Patient Care, gives tips to enhance the experience of pharmacy students during their rotations. 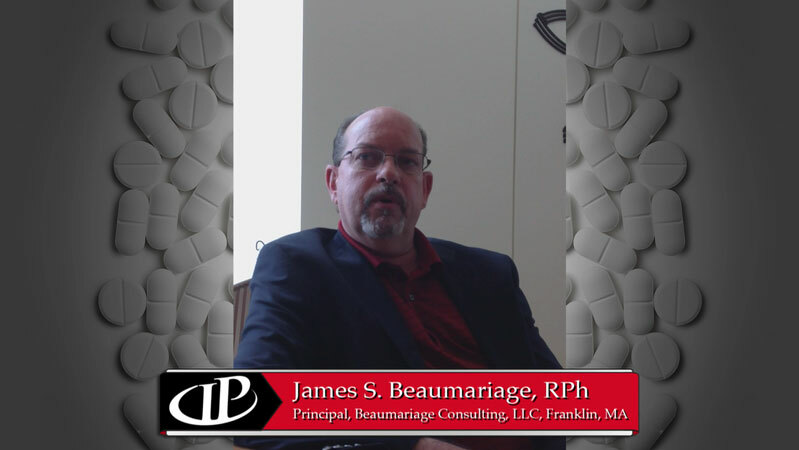 James Beaumariage, RPh, editorial board member, Inside Patient Care, discusses improving communication with patients. James Beaumariage, RPh, editorial board member, Inside Patient Care, talks about patient compliance and the importance of pharmacy technicians reinforcing the pharmacist's message. James Beaumariage, RPh, editorial board member, Inside Patient Care, discusses the evolution of retail pharmacies as they transform into healthcare delivery companies. James Beaumariage, RPh, editorial board member, Inside Patient Care, talks about positioning the retail pharmacy to support the caregiver.